An LMU team has shown that a protein called midkine, a member of the class of signaling molecules known as cytokines, is a key driver of inflammation in the heart muscle that can lead to heart failure in patients with myocarditis. 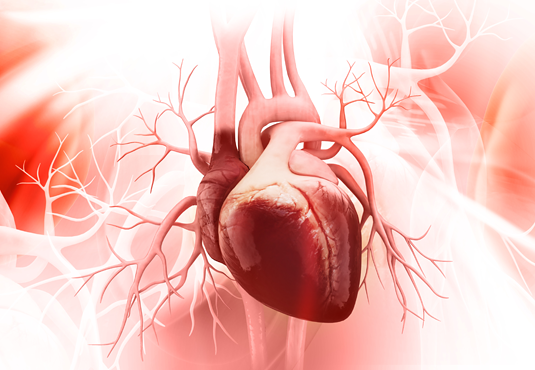 Myocarditis denotes an inflammatory response against the heart muscle, which can strike at any age. Although it often clears up spontaneously without any after-effects, in some patients the inflammation can become chronic and may ultimately lead to heart failure. A new study conducted by LMU researchers has now elucidated the role of the signaling molecule (‘cytokine’) named midkine for the development and progression of myocarditis. The results of the work, which was carried out by a team led by Professor Barbara Walzog and Dr. Ludwig Weckbach (both members of Collaborative Research Center 914 on “Trafficking of Immune Cells in Inflammation, Development and Disease”) are reported in the Journal of Experimental Medicine. The authors analyzed tissue samples obtained from patients with myocarditis, and were able for the first time to demonstrate the presence of ‘neutrophil extracellular traps’ (NETs) in human cardiac tissue. The formation of NETs is a characteristic component of the innate immune response to pathogenic microorganisms. NETs are networks made up of DNA extruded by a class of white blood cells known as neutrophils and serve to immobilize bacteria. This facilitates their engulfment and destruction by phagocytosis, which is the primary function of neutrophils. However, if the immune response overshoots, the build-up of NETs, and the concomitant release of pro-inflammatory signaling molecules, can damage the heart tissue. The authors showed that midkine was able to mediate the formation of NETs as well as the accumulation of neutrophils in inflamed heart tissue. In order to test whether midkine has a deleterious effect on the inflamed heart muscle, Weckbach and colleagues turned to an animal model of autoimmune myocarditis. “We demonstrated that antibody-mediated inhibition of midkine indeed reduced neutrophil infiltration into the heart tissue and led to a significant improvement in heart function. In particular, this intervention protected the tissue from undergoing fibrotic remodeling, a process which is a major contributor to heart failure,” says Barbara Walzog. The study thus identifies a possible point of attack for efforts to halt progression of the condition: “These findings identify the cytokine midkine as a new target structure for the effective treatment of inflammatory heart conditions,” says Ludwig Weckbach.